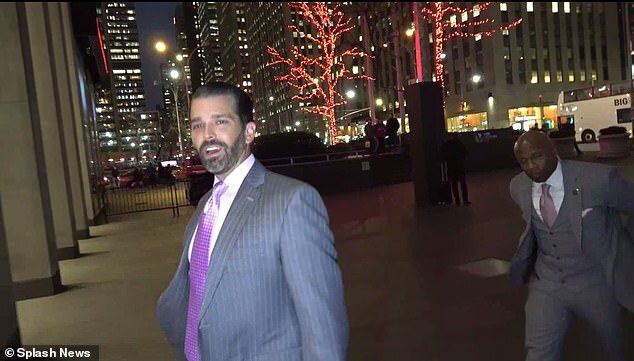 Donald Trump Jr triumphantly walked into the offices of the Fox News Channel in Manhattan on Monday evening feeling vindicated by the Mueller report findings. 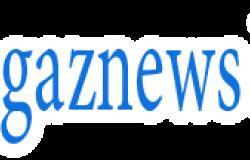 ‘It feels pretty good,’ the president’s eldest son said as he walked into the News Corp. building in New York City. 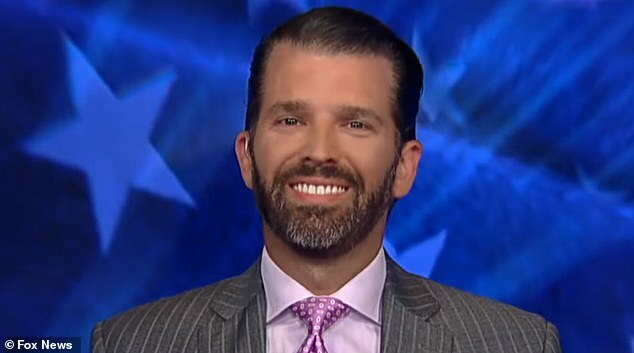 Don Jr appeared on Tucker Carlson’s 8pm talk show. 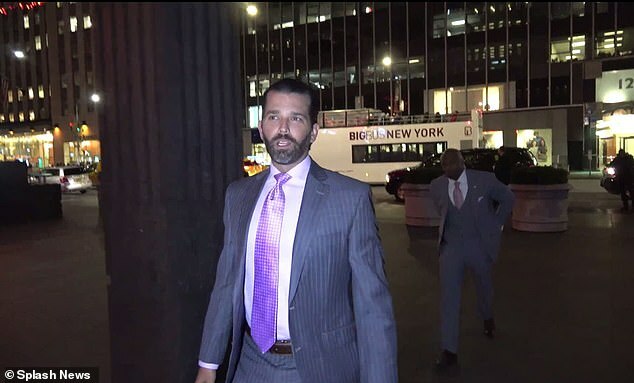 As he was walking into the building, Don Jr was asked about his reaction to Attorney General William Barr’s summary of the Mueller report, which stated that his father and his campaign did not conspire with Russia during the 2016 campaign. ‘We knew it was this way all along, but I guess it took a long time for the media to realize it,’ Don Jr said. When asked about the reaction of the American people, the president’s son said: ‘I think they get it. I think they’ve gotten it for a long time. It has been a good day for Don Jr and all of Trumpworld, who were not only celebrating the Mueller report findings but also the apparent downfall of a longtime Trump foe, lawyer Michael Avenatti. 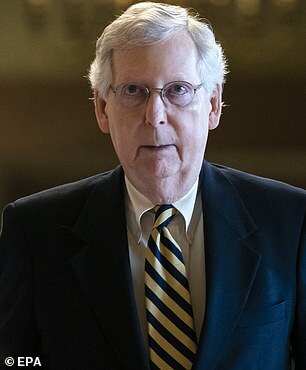 Senate majority leader Mitch McConnell on Monday blocked a second attempt by Democrats to pass a measure aimed at prodding the Justice Department to release to the public the special counsel’s report. 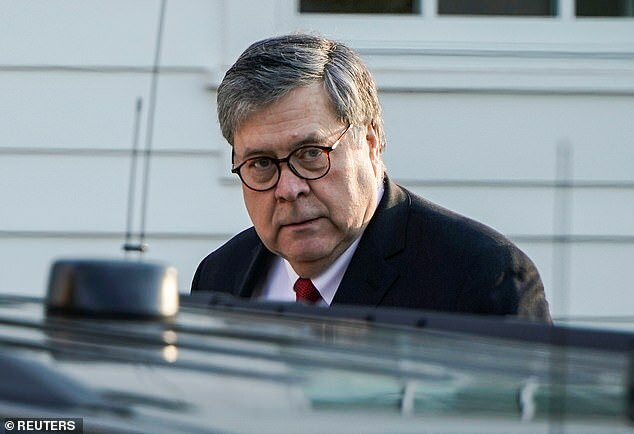 On Sunday, Barr informed Congress that Mueller had concluded that President Trump’s campaign did not collude with Russia to influence the outcome of the 2016 election. 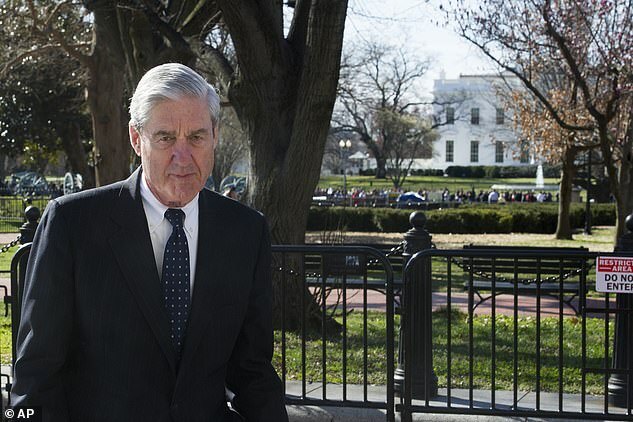 But the probe left unresolved the question of whether Trump engaged in obstruction of justice. 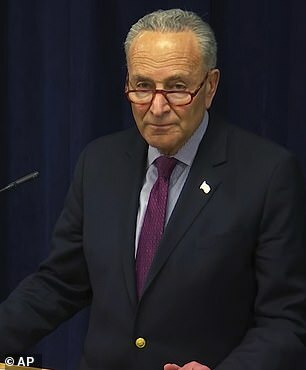 'There is no good reason not to make the report public,' Senate Democratic leader Chuck Schumer said. The chairman of the House of Representatives Judiciary Committee, Jerrold Nadler, a Democrat, said on CNN on Sunday that he would 'try to negotiate' with the Justice Department to obtain the full report, but the committee would issue subpoenas and litigate if needed. Trump in the past has called for investigations of Hillary Clinton, the Democrat he defeated in 2016. Avenatti, who represented adult film star Stormy Daniels in her legal battles with Trump, was charged on Monday with what prosecutors said was an attempt to 'shake down' Nike Inc for over $20million. Avenatti said he's 'highly confident' that he will be fully exonerated. 'As all of you know for the entirety of my career I have fought against the powerful. Powerful people and powerful corporations. 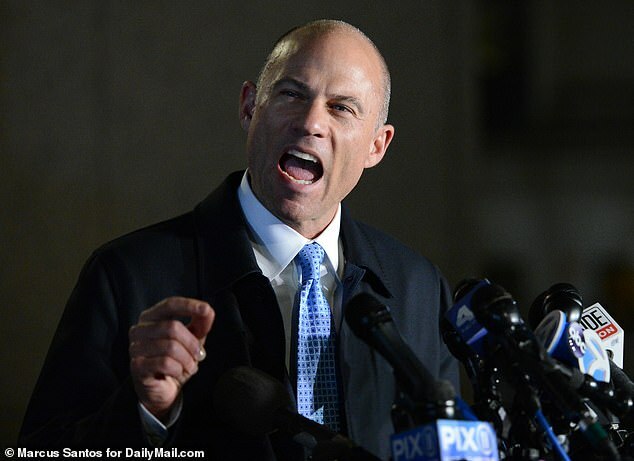 I will never stop fighting that good fight,' Avenatti told reporters in New York during a press conference Monday night. 'I am highly confident that when all of the evidence is laid bare in connection with these cases, when it is all known, when due process occurs that I will be fully exonerated and justice will be done,' Avenatti added after he was released on $300,000 bail. Earlier on Monday, a subdued Avenatti, appeared in the courtroom wearing a dark gray suit, sitting with federal public defenders. 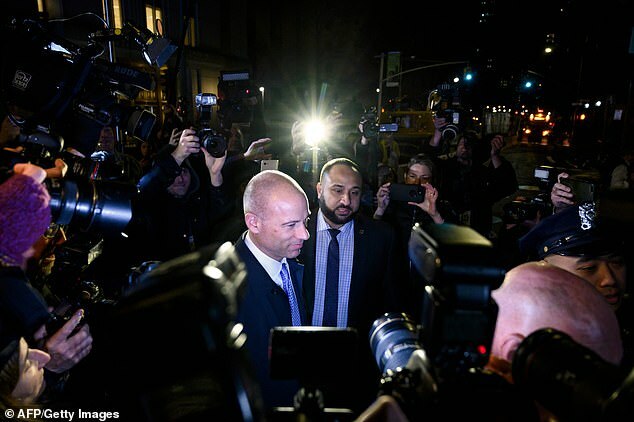 'When due process occurs I will be fully exonerated and justice will prevail,' Avenatti said outside the court following the hearing.